AROUND THE WORLD IN 25 DAYS. Traveller’s Tales: Part 1 – Jet Lags and Old Lags Not all low-cost airlines are the same! I’ve been an early adopter of, and a bit of an evangelist, for e-books. Besides their portability, as a multi-tasker when it comes to reading material, I really enjoy the easy access to a mini-library. And though it’s not to the liking of most of North London’s PC chatterers, I find the Amazon experience to be a positive one, not only in terms of price. (FWIW, with very few exceptions, I don’t rate the high street bookshop experience as something particularly positive in terms of service or choice.) So my request, two Christmases ago – granted – of Father Christmas for a Kindle was par for my course. Almost exactly one year later, my Kindle 3 refused to switch on and those nice people at Amazon replaced it at no cost and in short order. (Amazon’s customer service is truly impeccable.) I put this mini-catastrophe down to my own particular albatross and thought no more of it. 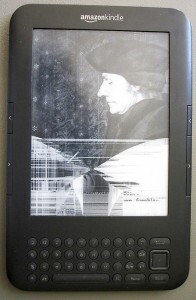 However, I did begin to wonder when a good friend – in fact, the webmaster of this very blog – had to send his broken Kindle (the smaller one without a keyboard) back in July, after just one month of ownership. Well lightening struck again shortly after arriving in Hong Kong, on the first leg of our round-the-world trip. This time I was not amused, in any way whatsoever. Like many, the choice of holiday reading material had been a major part of my trip pre-nostalgia and here I was confronted with the e-book equivalent of Computer says: “No!”. On my return to Blighty, Amazon did again replace my Kindle without a murmour. But it is a hassle and an inconvenience I could have done without and I must say that I now believe that there are questions to be answered about the Kindle’s build quality. Consequently I decided to trawl the web for stories of similar experience. I was not surprised to find a veritable plethora. Google “Broken Kindle” and you will find forum links, YouTube postings and, most of all, user comments on Amazon’s own site. (‘Hat’s Off’ to them, at least for not censoring problems from their own website!). However what I have not come across is one major news article on the subject. Why is this I wonder? Has Amazon become so big and powerful that the media doesn’t want to take it on? So while I wait for the media exposé, that may never come, I ponder whether by naming their product ‘Kindle’ Amazon may have committed one of the biggest branding mistakes in product history! POSTCRIPT: About 50 miles south ofAuckland, you will find the town ofPaeroa. a small town inNew Zealand, in the northern Waikato region of the ThamesValley. Located at the foot of the Coromandel Peninsula, it is close to the junction of the Waihou and Ohinemuri Rivers, 20 kilometres from the coast at the Firth of Thames. The population is 3900. 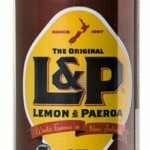 Paeroa is known for its mineral springs, which provide the water used in a local soft drink, Lemon & Paeroa – known affectionately to Kiwi’s as ‘L&P’. Paeroa also has quite a few second-hand bookshops and this is where we stopped for me to buy some non-electronic holiday reading. Despite my positive feelings about e-books I must admit to enjoying my return to the tactile experience. I am now ‘rethinking the situation’ in this area, in line with my views and habits with digital photography. I have never been comfortable with just digital, from both the enjoyment and the archiving perspectives, and have always made analogue prints of my favourite images. I think I now kind of feel the same way about books as far as the enjoyment goes. And as far as archiving goes, I sure hope that somebody is keeping some paper copies!